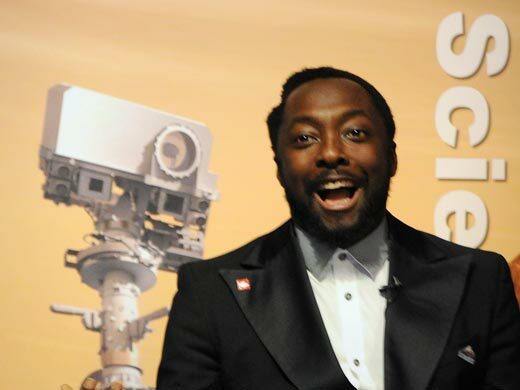 A new song by one of the Black eyed peas singer, Will.i.am’s will be debuted by NASA and will be the first song ever played in Mars this Tuesday, August 28, 2012. The song is entitled “Reach for the Stars”. Members of the “Curiosity” team will be discussing the mission and the technology on board the rover to selected students as part of an educational event of Mars ‘special’. The song "Reach for the Stars” will be available on iTunes on the same day NASA will debut it. It will on 1 p.m. PDT (4 p.m. EDT) at the agency’s Jet Propulsion Laboratory in Pasadena, California, with a live stream coming from NASA TV. NASA choose will.i.am over other singers 'cause the latter had been their celebrity guest in the launching of NASA’s Mars science lab last year. Not to mention that his i.am.angel Foundation has partnered with Discovery Education for the event. Comments or suggestions about "Will.i.am’s new song from Mars live broadcast by NASA " is important to us, you may share it by using the comment box below.